Standard caveat: Alignment discussion is an ongoing, unending battlefield morass of discussion and debate and argument. (And, I would argue, it’s been purposefully set up that way.) You can and should develop your own perspectives on this subject, and if you disagree with what I say here, that’s cool. By all means, let’s talk about it. Chaotic Good people run the gamut from political revolutionaries struggling against an oppressive regime to good guys who don’t much care about the rules to rugged individualists soaked in beneficence. They consider the good of people more important than the actual law, which they view with distrust or contempt. They’re often impulsive and disorganized, trusting instinct over planning, and often never run the same con or strategy twice. Chaotic Good aims to misbehave, but always for a good reason. Chaotic Good individuals are susceptible to their anarchic influences, and can easily end up skirting that moral line. Chaotic Good adventurers tend to be good at improvisation when their loose plans inevitably fall apart, and they consider adaptation more important than strictures. They tend to run from responsibility or authority, though sometimes they embrace it in the end because it’s the right thing to do. Their loyalty is to a cause, not to an authority. Examples: Aragorn is Chaotic Good. Robin Hood is Chaotic Good. Zorro is Chaotic Good. Malcolm Reynolds is Chaotic Good. The Dread Pirate Roberts is Chaotic Good. Elminster is Chaotic Good. Garin Ravalis (from the World of Ruin series) is Chaotic Good. Chaotic Neutral revels in chaos and disorder. A Chaotic Neutral person is unpredictable in the extreme and rarely repeats the same stratagem–if they even see it as strategy. They act on their whims and feelings and rarely edit themselves. They rely on themselves alone, take people by surprise, and often take pride in doing both. A Chaotic Neutral person generally has no use for law or authority and make go out of their way to frustrate the efforts of lawful characters and institutions. Chaotic Neutral is independent, free, and only relies on itself. A Chaotic Neutral person is marked by a streak of amorality–rarely do they side with a good cause, nor do they let the evil of an action make them hesitate. They need more compelling reasons than “it’s the right thing to do” to prompt them to action. However, despite its reputation, Chaotic Neutral isn’t intended to be carte blanche for “do whatever you want, whenever you want.” Yes, there is that, but Chaotic Neutral goes further. It is a lifelong commitment to defying expectation, trusting your instinct, and undermining expectations. Examples: V from V for Vendetta is Chaotic Neutral. Deadpool is Chaotic Neutral. Harley Quinn is Chaotic Neutral. Catwoman is Chaotic Neutral. Ilira “The Fox-at-Twilight” Nathalan is Chaotic Neutral. Mask (from the World of Ruin series) is Chaotic Neutral. Chaotic Evil is our classic sense of what evil is–unpredictable, monstrously bad–and that seems to be intentional in the setup of the nine alignments. In truth, though, it’s no more or less evil than any other evil alignment–just often more obvious about it. This goes to how we pathologize mental illness, and we often make our villains out to be “crazy” and “chaotic,” but that’s another discussion for another time. Chaotic Evil: Because some people just want to watch the world burn. Just as Lawful Good isn’t necessarily Lawful Stupid, neither is Chaotic Evil necessarily Chaotic Stupid. We’re all familiar with roving, mad monsters that sow destruction and chaos for pleasure, but one can be quite a bit more subtle. There’s nothing about the alignment that says you have to be loud and bombastic. As long as you work toward the common ill, sow confusion and revel in setting people off their ease, pride yourself on being unpredictable and only serve your own interests, odds are you’re Chaotic Evil. Examples: The Joker is Chaotic Evil. The drow, orcs, and many monsters are Chaotic Evil. Demons are Chaotic Evil. Ramsay Bolton is Chaotic Evil. Lilten Dlardrageth is Chaotic Evil (though he’s urbane about it). Fayne is Chaotic Evil, though she evolves to be more Neutral over time. Alistra Ravalis (from the World of Ruin series) is Chaotic Evil. Caveat: Very little about Dungeons & Dragons is intended to be clear cut. There are literally dozens or even hundreds of interpretations of how any particular mechanic works to simulate the real world or something else, etc. This is mine. YMMV. Basically, it depends what you’re trying to simulate. It’s possible to build a system where you cover everything in excruciating detail. When you’re struck in combat, what kind of wound does it produce, how does that affect your combat effectiveness, how many such wounds can you take before you’re down, etc., etc. Various games have attempted this–think of hit tables, wound location tables, system shock rolls, etc.–with varying degrees of success. Some games don’t want to do this, however. 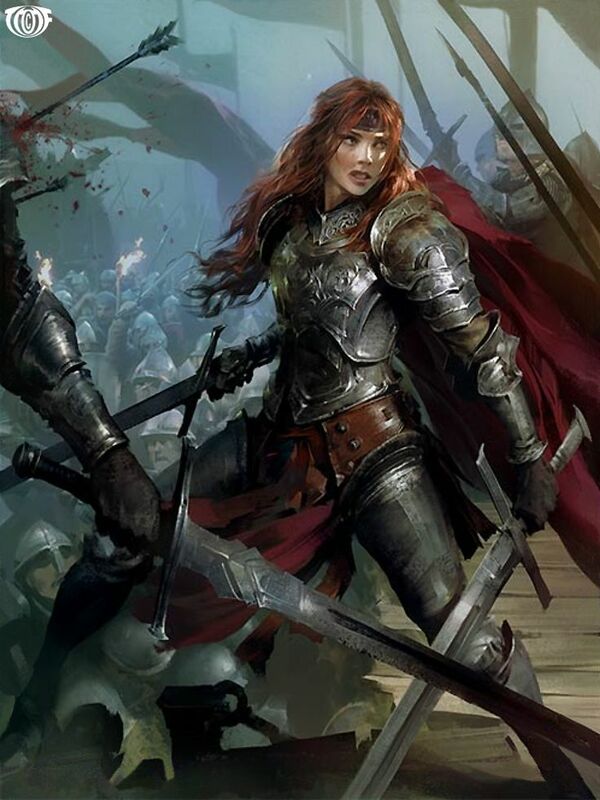 They are more interested in simulating a cinematic or pulp experience, where the heroic, gritty warrior fights in the middle of a swarm of baddies and emerges out the other side with a few bruises and carefully torn armor/clothes, a fierce look in her eye and blood all over her blade. In real life, of course, if you get attacked by 3-4 armed assailants, even if you’re an excellent fighter, odds are hilariously good you’re going down hard. Think of the Lord of the Rings movies–yes, there was some brawling there, but it’s basically stylized, interesting-to-watch combat, not real battle. (And there’s no way Aragorn, Gimli, and Legolas can fend off 50 orcs with just their personal weapons. No matter how live a machine gun Legolas’s bow can be.) The Princess Bride depicts fencing, but it’s stage fighting at about a quarter speed of real fencing. Most real fighting is over within seconds, or you’re going to lose the fight. Most fighting is done from ambush and is what we’d call dishonorable in the extreme–if you’re fighting for your life, you don’t have any time for flair or showing off. People who do that get killed really quickly. 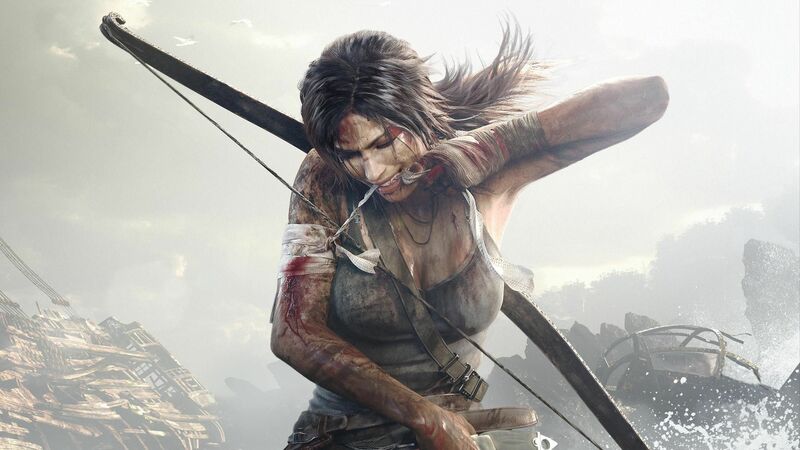 Ask yourself: What experience are you really looking for in your games? D&D and games like it (Pathfinder, Shadow of the Demon Lord, etc) tend to go with a more abstracted interpretation where Hit Points are the sum total of your ability to keep fighting. It’s a murky combination of health, fighting ability, endurance, will, grit, etc. When your hit points are positive, you’re up. When they’re 0 or below, you’re down and may be dying/dead. You typically have an attack roll in these games opposed by a static defense number (armor class [AC], defense, etc) the attacker has to meet, which is increased by things like wearing armor, using a shield, being really agile and thus hard to hit, etc. In some games, your armor soaks (absorbs) damage, reducing the amount you’d take if you were struck rather than increasing your AC, and if it’s heavy, it might make you easier to hit (see the AGE system, Iron Kingdoms, etc). Games do this in different ways. 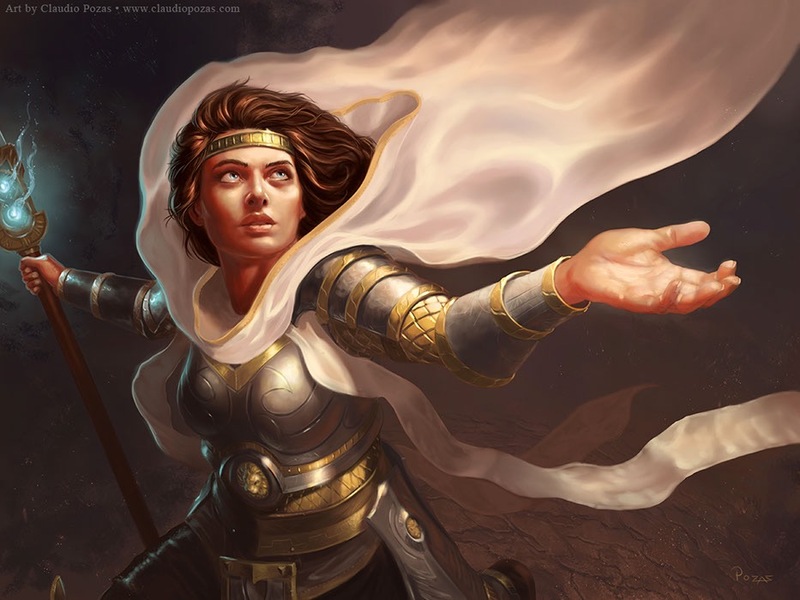 The Cypher System (Numenera, the Strange, etc) has three ability tracks–Might, Speed, Intellect–which are mostly a pool of points you can spend to do things (limited resources representing fatigue) and also where you take damage when you’re hit by an attack. The pool that’s most appropriate is the one damaged (mental stress hits your intellect, poison hits your might, strikes to your limbs affects your speed, etc), and damage can be carried over if the primary pool it damages goes to 0. When one pool goes to 0, you are impaired, which means you function poorly. When two pools are exhausted, you’re disabled, which means you’re barely limping along. And when all three pools are spent, you’re incapacitated. Cortex games like Marvel Heroic Roleplaying and Firefly, etc, handle damage in terms of giving a character a higher and higher stress die, which applies to physical, mental, or emotional stress. For instance, when someone hits you in combat, you take a die of physical stress, and future attacks against you can exploit that physical stress to enhance their die pools, i.e. increase their chances of harming you. Though if it’s only a little physical stress (d4), trying to exploit it is just as likely to screw up their attack and help you as actually harm you. It’s a complex, potentially very powerful system. Games that are Powered by the Apocalypse… You know, I don’t really remember how these games do damage. Marking wounds? Probably. I should really get on playing that recently acquired copy of Monsterhearts 2 one of these days. But I digress. Here we were talking about the classic, popular, occasionally embarrassing to the kids Daddy of RPGs, Dungeons and Dragons. Hit Points are your character’s staying power in a fight. They represent primarily skill at fighting and stamina. This is why warrior types (fighters, paladins, barbarians, etc) have more hit points than wizards, sorcerers, bards, and other such squishy friends. The better you are at defending yourself and the stronger/tougher you are, the longer you will last in a battle. This comes out of my own fight training and experience. Part of what marks a superior fighter is how long they can keep fighting at a high level of expertise. Most amateur fighters exhaust their hit points quickly and take a knock-out blow early on. More experienced fighters are better at turning blows into glancing strikes, essentially soaking more damage than lesser fighters, and continuing to perform at or near their peak efficiency. HP are not a measure of your health… not exactly. They aren’t some health bar floating over your character that measures how much raw vitality is surging through you, rawr! They *are* a measure of how many hits you can take before you go down, however. Or more accurately, how many *near misses* you can sustain before you take a serious wound. When your armor turns aside a blow, that’s it hitting you and reducing your hit points. When you parry a strike, that’s it hitting you and reducing your hit points. When you narrowly *dodge* a fireball, that’s it hitting you and reducing your hit points–unless you have evasion, which represents a knack for not being there at all when the fireball hits. Because what happens is that the weapon or spell hits your weapon or armor and weakens you but doesn’t really hurt you. You shrug it off and keep fighting, but the sum total of a series of hits like that are going to wear you down. Hence your HP dwindles, and eventually you’re going to mess up defending yourself from a blow and go down (when they hit 0). Injuries happen when HP are low. In my games, a PC doesn’t actually get *injured* until their HP drop precipitously low. Low HP mean you’re more likely to falter in a block and take a serious injury. It’s you, dizzy, exhausted, rattled, breathing hard, about to go down. Look at a boxer or MMA fighter in the later rounds of a fight. That’s low HP. Their combat effectiveness is still high–they can still land good hits, sure–but the chances they’re going to get clobbered and put down are much, much higher than they were right out of the gate. A lot of games have some sort of death or fate mechanic for below 0 hit points. You roll a die to determine if you’re dead, bleeding out, or stable. This is because the hit that dropped you might not have been a lethal one, and it’s difficult for others to tell, sometimes, if you survived the hit or if you’re gonna die if left unaided. Losing consciousness by violence is never a good thing, but it can be extremely unpredictable. Sometimes you wake up with no obvious ill effects, sometimes you end up in a coma for days or weeks or years. Well then, what does Healing Magic do? For some, healing magic represents some unseen magical force that reknits your tissue, sets broken bones, closes wounds, etc. And kind of it does–it certainly CAN do that. But to me, the effect of healing magic is to soothe your aches and fill you with revitalizing energy. It lets you fight on longer and harder than you otherwise would. It restores your hit points which, remember, are a measure of your fighting ability and stamina, not your actual health. A healing potion is more like a Red Bull than some sort of wound antidote. And when you use your muscles in a battle, you create small tears and strains in those muscles. That’s how you build muscle mass: you work the muscles, stretching and tearing them, and they grow back stronger and bigger. Healing magic expedites the recovery process–basically, your muscles rebuild instantaneously (to the extent of the healing spell). If you receive a healing spell when you’re down, it does basically the same thing–heals that strained muscle tissue, suppresses pain, reknits flesh, etc. But the most important thing is that it puts you back on your feet to continue the fight. Just as it would do if you never left your feet. You don’t really have hit points–you have a fighting status. I once had a brilliant 4e D&D DM who kept track of our characters’ hit points–we never knew our exact hit points–and only gave us updates on our status based on hits. At 100% HP, the character is uninjured. 75% to 99% HP? Bruised. 1% to 10%? Grievously injured and about to go down. And of course 0 HP is unconscious. I do something like this in my games, too, though I’m happy to have PCs track their own HP. What I’m saying is, you only really get *bloodied* in my games when you’re at half hit points or lower, and it’s not really a major wound that you take. D&D 4e did this, and I think that was one of the best things to come out of it. It’s that turning point in a fight where you take the first wound and have to react to it in some way. The fighter takes a wound across his exposed thigh and staggers, barely blocking the next blow, then winces and takes stock of his dire situation. The barbarian retreats from a hammer strike to her midsection, spits blood, and her frenzied smile broadens into something truly terrifying. Etc. These moments of drama are important in a story, and I think RPGs are fundamentally about telling a collaborative story. When you’re low on HP (around 25% or lower, say), I’ll say your character is wavering. When you’re at 0 HP exactly, you are disabled–reduced in the actions you can take and a stiff breeze could put you down. When you’re below 0 HP, you’re unconscious and possibly injured and possibly dying. Gaining levels and gaining a higher attack bonus doesn’t necessarily mean you’re just luckier or that you’re a better warrior. Or, perhaps, it *does* mean that, but in the sense that a better warrior is more consistent than a n00b, and that’s what a higher attack bonus represents. Take your standard guard in medium armor (AC 15). A starting fighter (level 1) is going to hit this guard, eh, about 50% of the time (+4 attack bonus, roll an 11 or better, that’s 50% odds). An experienced fighter, however (level 5, say) might hit the guard 75% of the time (with a +9 attack bonus), which is a pretty reliable rate. A masterful fighter (level 10) might hit the guard 95% of the time (+14 attack bonus), and make super short work of the guard. Any kid with a sharpened stick can get in a lucky hit (roll a 20), but it takes training and practice to hit well, pretty much every time. And that’s what a higher attack bonus translates to. This is also why I think defense should go up as you get higher in level, to reflect your ability to reduce being hit to match, but D&D chooses to represent this by increased hit points. It’s not that you are able to avoid being hit, exactly, but more like you know how to lessen the impact and minimize the damage. To me, hit points are more about fighting prowess than health or vitality or something like that. There’s stamina involved–how long you can keep fighting when you’re taking hits–but mostly it’s about skill and experience. The more fights you’ve been in, the better a fighter you become. It’s just like anything else–practice, practice, practice. Now. If you’re playing a game based on gritty realism, then yeah, probably that’s totally fine, and maybe the game should allow for that. You as a DM can always rule that a coup d’ grace is an automatic death blow, regardless of the target’s HP–but if you do, watch yourself, because the heroes WILL exploit that ruling. Next time they sneak up on a sleeping dragon and coup d’ grace it, your whole campaign will unravel. To an extent, that’s what critical hits are for: in D&D, if you inflict a coup d’ grace on a helpless target (or someone not defending himself), then it inflicts an automatic critical hit. Which is typically enough to kill a regular person. But if you’re playing a game about pulp or epic heroes, then you’re probably not dealing with normal people. That bandit who slit the paladin’s throat? 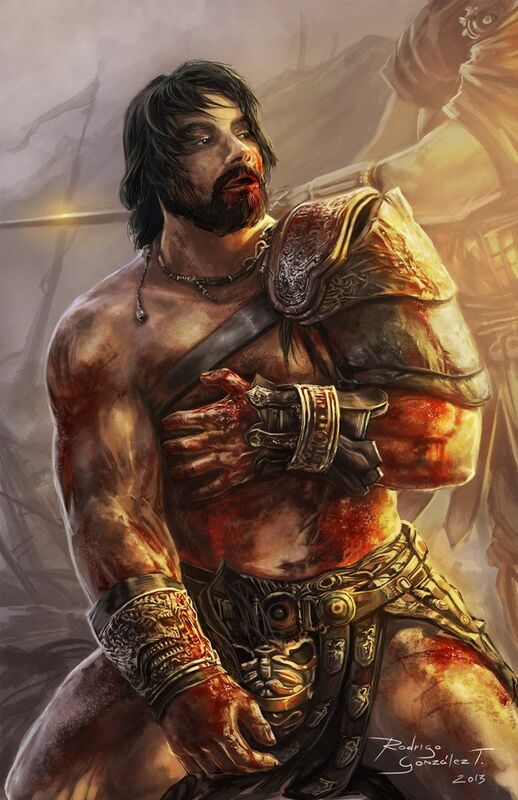 Maybe he was TRYING to slit the paladin’s throat, but the paladin was just so tough and quick that he jerked aside and the bandit only cut him shallowly or missed the artery. Maybe the knife even broke off against his skin. Maybe the paladin is bleeding copiously but still fighting, because he still has some HP left. But basically, the deathblow didn’t happen, because the character still has hit points to chew through. Guns and exploding damage weapons do this as well. A gun typically inflicts d10 damage, and if you roll a 10, you roll again. You could in theory keep rolling 10s and one-shot anything. That’s something to consider when rolling a critical hit. Think about what you’re trying to simulate. I’m gonna recommend a one-hit kill rule, if you want to use it in your games. I call it the “Wade Grimdark” rule. It comes up when a character for some reason can’t *use* their hit points. Can’t put up a fight, can’t brace for a blow, can’t resist, etc. If that’s the case, give the attacker an automatic critical hit, and compare the damage to the character’s Constitution score. If it meets or exceeds the CON score, the character is reduced immediately to 0 hit points and is dead or dying, depending on how you resolve such things in your game. If the damage *doesn’t* meet or exceed the CON score, multiple the damage inflicted by half the character’s level (round up) and reduce their hit points by that amount. Then proceed as normal. For instance: Bandit hits the helpless 5th level paladin and inflicts 14 damage. If the paladin’s CON score is 14 or lower, the paladin dies instantly. If the paladin’s CON is 15 or higher, the paladin takes 42 damage (not quite enough to drop him) and is still in the game. What do Hit Points represent to you? How do you do health/HP in your games? What sort of games do you prefer? To you prefer armor to increase defense or soak damage? 1. I’m getting older but I can still stay up drinking and talking about totally random stuff until midnight every night. Because GenCon. 2. Even when I think I’m not networking, I am. People want to hire me for things. Just last night, I ran SotDL with some friends, which turned into a couple Sentinels of the Multiverse games, which turned into a good little chat with my oldish friend Christopher Baddell, the creator of the game, who may or may not need some design for his forthcoming Sentinels RPG. (Can neither confirm nor deny.) I have a bunch of threads there, and if you’d like some work, hit me up. I’m always open to chat and I rarely say no, because I love writing. 3. The Writer’s Symposium continues to be one of the best things about GenCon every year. This year we sold 10k tickets (yes–ten thousand!) and had all kinds of huge names and crowded events. If you haven’t checked it out, I highly recommend it. 4. Elaine Cunningham is as cool as I expected, and it was excellent to meet her in person (finally) this year. Also read the book “How to be a Tudor” on her recommendation. 5. If you want to make a splash on the con floor, run a manually operated (as in people inside it) vending machine as your storefront, ala the Exploding Kittens people. See the video (on twitter until I can get it embedded here). 6. My perpetual roomie Brian Cortijo is one of the nicest, hardest working guys in the industry and the Forgotten Realms community, and he always takes good care of me. Highly recommended as a friend. (Does Facebook do reviews?) Also, we should all be rooting for him to win the powerball because of reasons. 7. I was a writer panelist at one of Zombie Orpheus’s Gamers Live events, and it was fantastic. Must contact Chris and Sarah to do that again. 8. Larry Dixon and Mercedes Lackey are just as cool as the last time we hung out 10ish years ago. Larry remembered me and my work, too! 9. It never becomes less awesome to meet a stranger who has heard of you or likes your work. I’ll never get over that feeling. 10. If you want to push artists over the edge from “breaking even” to “turning a profit,” buy their stuff! That’s what I did with Claudio Pozas, whose work I will be displaying on my office wall shortly. 11. Food: Marriott breakfast is a bit better than the Westin’s, primarily because you can order a fresh omelette. Didn’t eat at Palomino’s this year–must make that a priority. Keep Sunday lunch at Granite City and Monday breakfast at Patachou’s an annual tradition. 12. Demo more games! It’s fun and energizing. And you never know what cool things you’ll discover. It’s so worth it.